Snow white beauty bouquet with lilies, short stem roses, lisianthus and greenery. 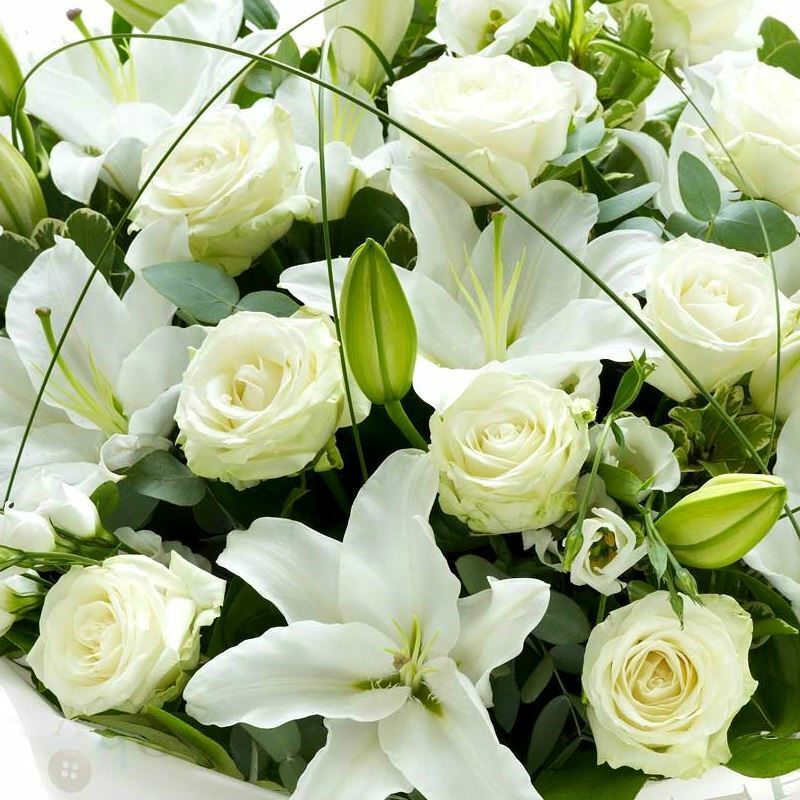 The beauty of white lilies and roses is unchallenged. Representing innocence, their versatility makes them a favourite gift to offer congratulations for graduation, engagements, bridal showers, new baby, or even a gift of sympathy. 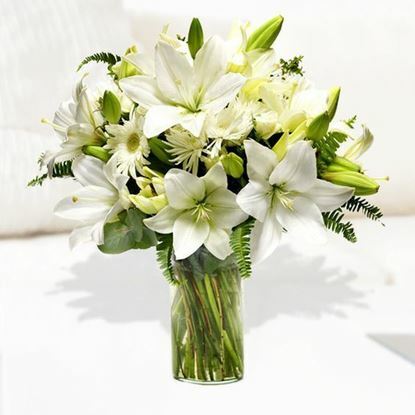 Show someone you care with this elegant composition of white lilies, roses, lisianthus and greenery. Length of roses is average 35-40 cm. Funeral tribute flower bouquet with all white mixed flowers and greenery. 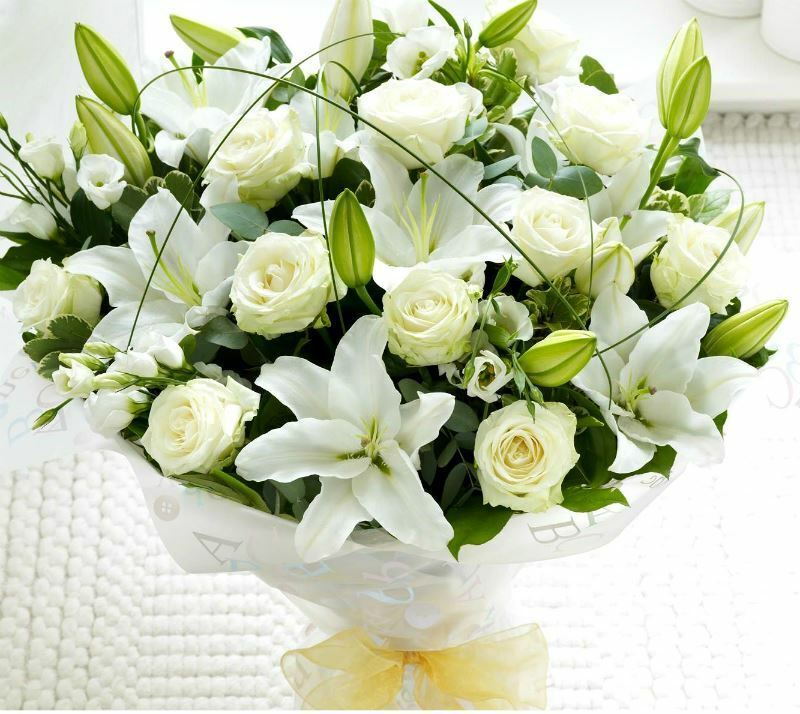 Send comfort during difficult times with this stunning, all-white tribute bouquet. 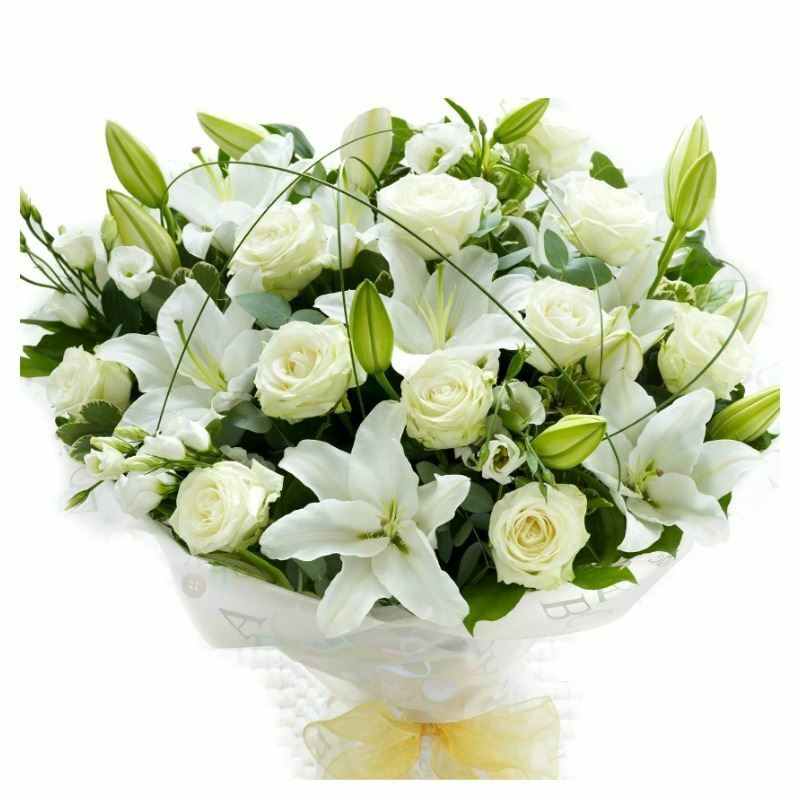 Featuring stunning mix of white flowers, it's a soothing gesture of your love and compassion. Lilies, roses (long and short stemmed), eucalyptus, and more . 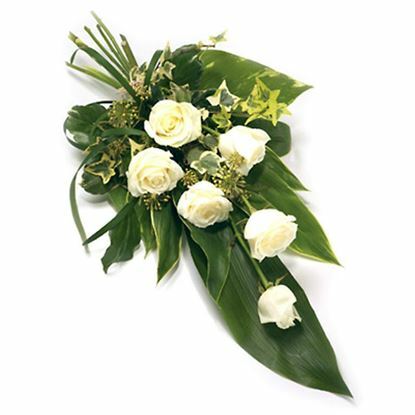 A simply elegant bouquet with white green roses and greenery which makes them a favourite gift to offer congratulations for graduation, engagements, bridal showers, new baby, or even a gift of sympathy. 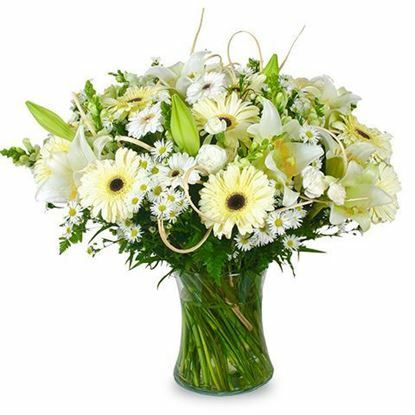 Modern and elegant white-green flower arrangement in vase. 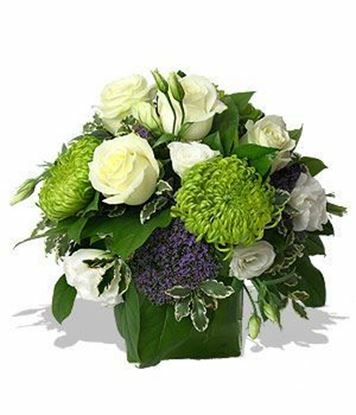 White roses, green chrysanthenum, eustoma, and lots of other green goodies are tucked into this compact, white-green flower arrangement . Such a fresh and modern design! Makes it a favourite gift to offer congratulations for graduation, engagements, bridal showers, new baby, or even a gift of sympathy. At the moment only available in clear square vase (included in price). Size of the vase is 12*12 cm /4,75*4,75 inch.